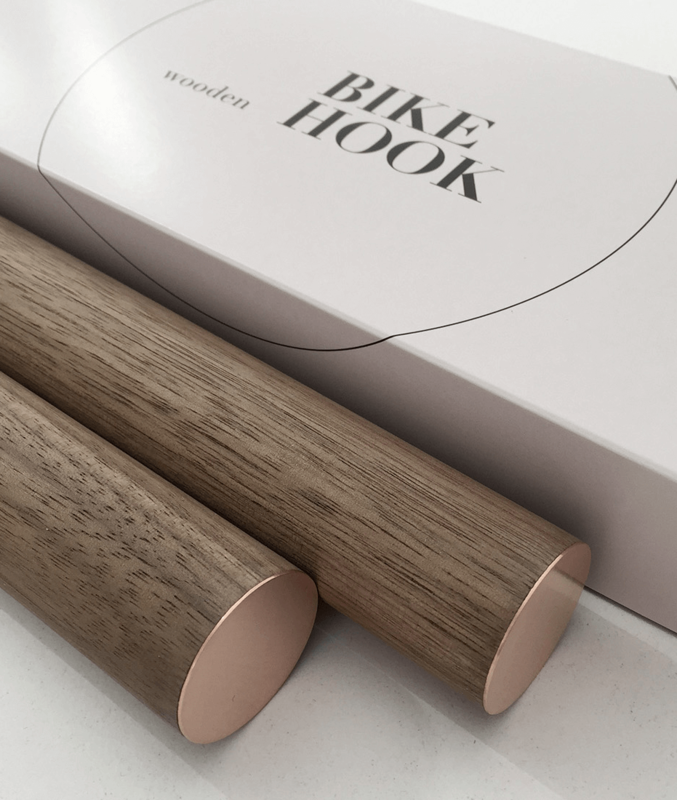 These minimal wooden bike hooks present an elegant and clever way to store your bespoke bicycle at home. 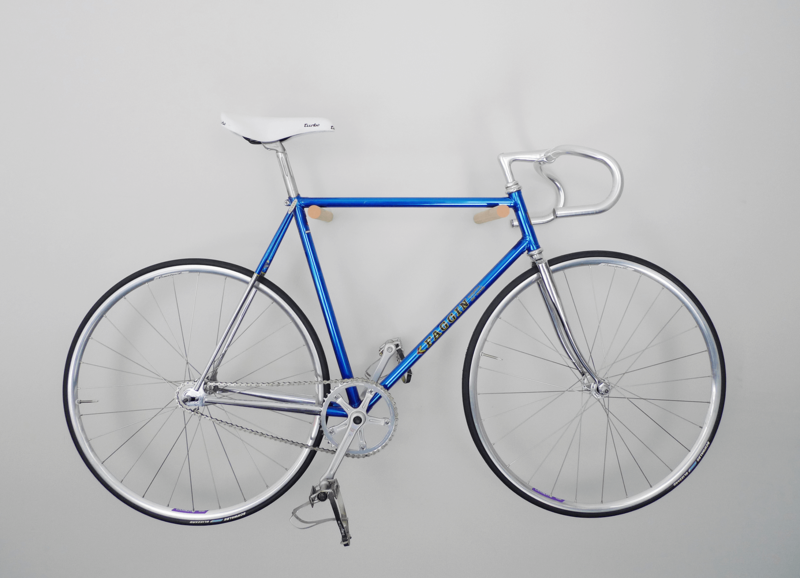 Conceived as a piece of high-quality furniture rather than a mere practical device they offer an extremely simple but sophisticated storage solution for light sports bikes. 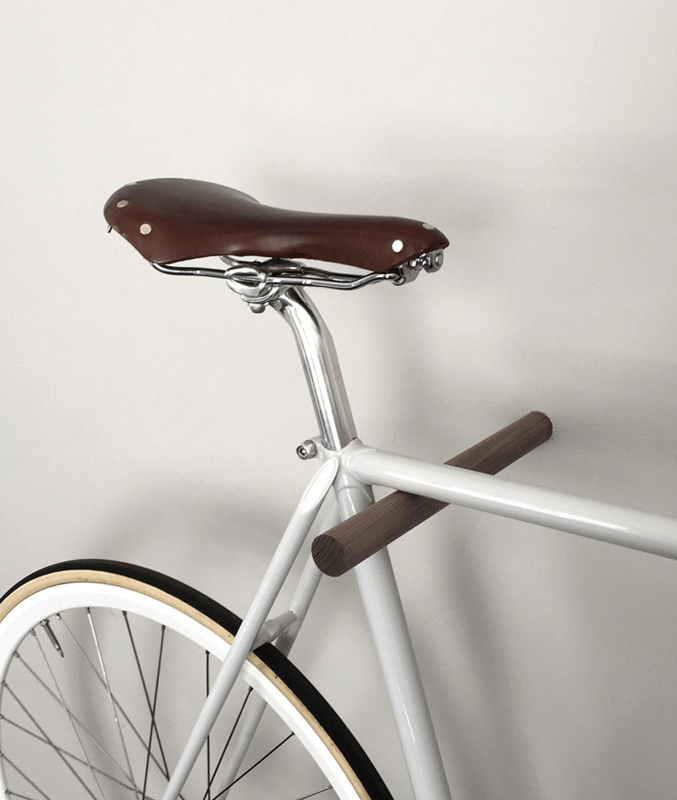 Meticulously hand-turned from sustainable hardwood either in oak wood or american black walnut they pay tribute to your bike as a design object and also look beautiful on their own. 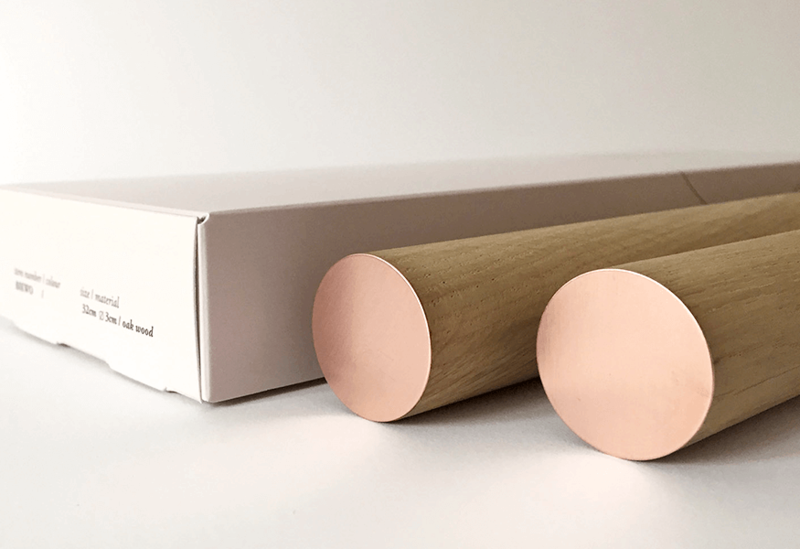 Shipped in a tasteful gift box, the set includes a pair of wooden bike hooks, two shelf supports and detailed assembly instructions. 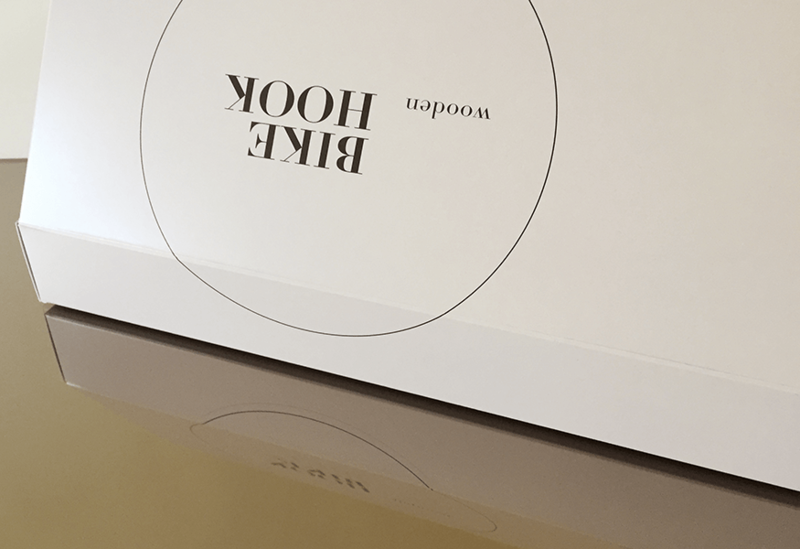 The hooks are 32 cm long and 3 cm in diameter.